One of the ironies of the Cuban Revolution was that, from the beginning, it persecuted many of its loyal supporters because of their sexual orientation. 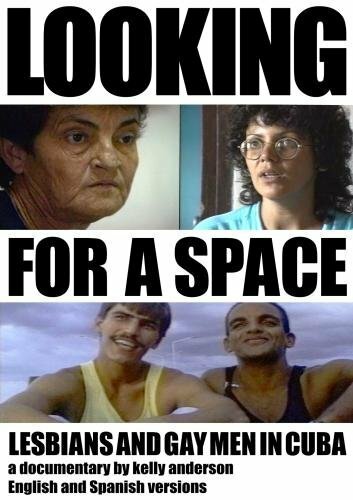 LOOKING FOR A SPACE examines the cultural, political and historical reasons behind the persecution of lesbians and gay men during the early years of the Revolution, and takes a fresh look at this issue from the perspectives of Cubans who are living on the island today.We meet a diverse group of people who express differences of opinion. Older people recall the repression of the late sixties when gay people were sent to UMAP camps for re-education. During the Mariel boatlift of 1980, many gay people were seen as counterrevolutionary for fleeing the country. Many younger Cubans feel there is more tolerance today, as an emerging gay subculture demonstrates. Given the uncertain political and economic climate of today's Cuba, the future remains unclear.Includes Spanish and English versions. NTSC 39 minutes(c) 1994 Kelly Anderson All Rights ReservedWhen sold by Amazon.com, this product will be manufactured on demand using DVD-R recordable media. Amazon.com's standard return policy will apply. If you have any questions about this product by AndersonGold Films, Inc., contact us by completing and submitting the form below. If you are looking for a specif part number, please include it with your message.